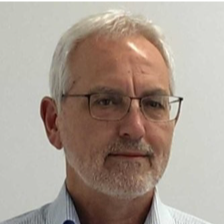 Thanos Moros is a Professional Engineering Director and Fellow of IMechE, with over 30 years’ experience and proven track record in the Energy Sector working for BP in a number of Senior Engineering and Project positions. He combines extensive expertise in Technical Developments, Major Project Execution, People Management and Organizational Structure. He has expertise in integrating and developing multidiscipline teams across multiple continents by management of large engineering teams in BP and has worked with government and health and safety organizations in different countries (US, UK, Africa). His technical expertise includes areas of: major projects, engineering management, floating systems and FPSOs, industry expert in offshore and subsea developments, interaction with construction yards, technology management, concept development, risk and safety management, failure investigations and integrity management. Charter Engineer, Fellow of the Institution of Mechanical Engineers, UK. Member of American Society of Mechanical Engineers, USA. Author and co-author of a number of technical papers and book.